Could you clean up with this £9bn market opportunity? It seems that we have become a nation that is no longer prepared to spend its free time clearing up after itself. In fact, a whole industry has grown up to cash in on our lethargy. 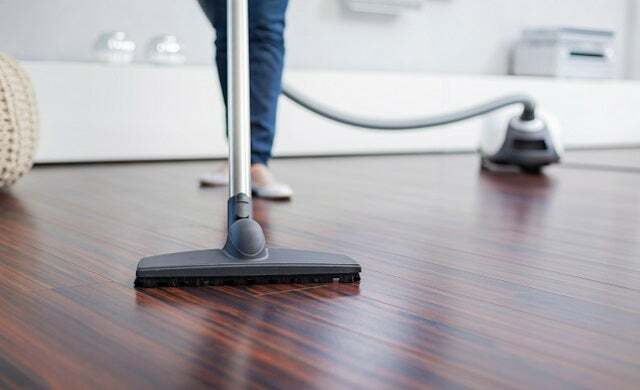 The domestic cleaning market is estimated to be worth anywhere between £2bn to £9bn per annum in the UK and is set to grow over the next 10 years. If you’ve read our 8 simple steps on how to start a cleaning company, but are concerned about the fierceness of the competition, then becoming a cleaning franchisee could make you a tidy sum. Merry Maids is part of ServiceMaster, which provides a host of franchised services such as furniture, upholstery and carpet cleaning as well as domestic cleaning. Teams of two maids are sent out with keys to a property and it is the franchisee’s job to secure both staff and clients and bring them together. Molly Maid works on a similar system but the staff are uniformed and they go out in cars that display the company logo. The franchisor has found this to be an effective advertising tool. Most franchisees start by working from home but then move into premises as they get more maids and need more car parking space. SelClene franchisees do not have such a close relationship with staff and clients. A call centre system processes prospective clients and cleaners for the franchisee to meet and then match up. The franchisee is therefore free to concentrate on growing the territory through leafleting and marketing, rather than on day to day administration. The former two offer house cleaning customised to as many hours, times a month and rooms cleaned as the client wants. This will be negotiated between the franchisee and the house owner. The SelClene cleaners themselves then arrange with the client when and what to clean. How does a domestic cleaning franchise work? Target homes would be those of upper middle class professionals, young executives and increasingly the affluent elderly. To reach them the initial contact will be leafleting the area. In the case of SelClene this is the primary means of extending the territory. Yellow pages, local advertising and eventually personal referrals are other means used to promote cleaning franchises. And in the case of Molly Maid, the visibility of the cars is an advert every time the maids are out working. Recruitment of staff is done in a similar way. Cards in newsagents are a popular method as is targeting certain areas and local advertising. Though they obviously need to be physically strong enough to handle the work, don’t think you have to recruit people who have cleaned before. You should hire a pool of cleaners so that you have enough staff when people are off sick or on holiday. For example, one franchisee has three teams, which requires six people. She has eight on her staff. This obviously costs more but you can’t afford to let clients down and according to most franchisees, there is always more work than you can handle. Generally, franchisees work initially from home, so having the right team is especially important because you will be bringing them into your personal living space. Moving into premises generally comes as a matter of course later on. Who is suited to a domestic cleaning franchise? Having management experience will be an advantage as you could be working with a large team. Without wanting to sound clichéd, you also need to be a people person. As well as managing your cleaners, you will need to present a personable face to your clients. With all three franchises, you will be going into people’s houses to find out what they are looking for in a cleaner. SelClene really only require you to meet the client to sign the papers but for Molly Maid and Merry Maids, you will be assessing the house to make a quotation – in effect, selling your services. It’s important for them to feel that you will be as careful with their home as they are. This requires sensitivity and a gift for the personal approach – before and after you sign them up. You also have to be able to take criticism, both of yourself and your staff. If a client complains then it has to be sorted out immediately and with good grace. Your cleaners will be insured against serious mishap but it is the day to day things, where you haven’t quite met the client’s expectations in some way, which will test your patience. Although SelClene is different as it guarantees you will not have to clean or iron, for the other two franchises you can’t be afraid of being hands on. If you are short staffed or there is a big job on, you will have to roll up your sleeves and muck in. But most franchisees said they liked doing this as it builds team spirit and morale. The initial costs range from around £7000 to £17,000 with recommended working capital in the region of £5000 to £10,000. Most franchisees will start up from home so overheads are low initially but you will need to buy computer equipment and probably set up a separate phone line. All three franchisors will provide you with a certain amount of stationery, equipment and uniforms – where applicable. With SelClene much of your time is spent going out and leafleting so petrol costs and wear and tear on your car need to be considered. Although the point of paying exclusive area fee, at £100 a month for 100,000 houses, means you will only be travelling within a certain area. With Merry Maids and Molly Maid you will have to meet the cost of your staff’s petrol – which is another reason to keep the territory compact. Additionally, the Molly Maid franchise requires that you provide small blue cars, which then have the Molly Maid logo put on the side. Sherry Costello in Surrey says cars are her second highest expenditure. You are advised to lease hire rather than buy and she pays £185 (including maintenance and VAT) per car, per month. This is the only insurance you have to pay for, though, Molly Maid sorts out all the other insurance costs. Most franchisees agreed that the highest expenditure was wages. “Maids might earn between £4 and £8 an hour depending on the area and their experience,” says Ken Dennis of Merry Maids. You will automatically have to pay 20% more in London – but you will obviously be able to charge more for the clean as well. Advertising, renewing equipment and chemicals are all ongoing necessary expenditure. With SelClene you won’t be buying the cleaning equipment but you will be doing a lot of leafleting. Which brings an additional cost as you will probably want to bring someone in to help you out. This costs initially but will ultimately boost earnings as it leaves more time for marketing and promoting the business. Finding the money to advertise on Google, Yell.com, or to run ads on relevant websites can be well worth the expense. All three franchises – Merry Maids, Selclene and Molly Maid – estimate you should have a profit of around £30,000 by the end of year two. Though they all advise another source of income for at least the first year so any profit can be put back into the business rather than drawn as a salary. Franchisors are keen for you to expand the business both by taking on as many clients as possible and even buying another territory. “We try and ensure territories are available for those who want to buy. The franchisee can then move out of home into premises and take on an admin team – the scale of the operation grows,” explains Richard Maidment of Molly Maid. Franchisees are forced to grow into premises as the business grows by things like lack of car parking space for the teams. Upsetting the neighbours with six or seven cars parked outside each day is a real concern. You might also set up a satellite office on the edge of the territory. Your staff can then radiate to its surrounding area and not have to travel as far, thus making the business more cost effective. SelClene reckon a franchise can grow to around 400 houses in a 100,000 household territory before looking to develop a new area. Though franchisee Lesley Yacomine believes there are 600 to 700 potential clients in her 77,000-house area of Richmond and part of Middlesex. With SelClene, for example out of a £7.50 clean, the cleaner might take £5 and you get the remaining £2.50. The £5 will be left in cash so the cleaner gets his or her money direct and the £2.50 will come to you usually via a standing order. How many times a week and for how long the cleaner or maid goes to the client is something to be negotiated at the start. Ron and Diane Lewis of Merry Maids in Worcestershire have certain rates for certain cleans. “When we look at a house we assess how much time it will take to clean. For example, a house with lots of ornaments will take longer so we would charge slightly more. A standard clean and vacuum might be £24 a week,” says Ron. The good thing about the Merry Maids and Molly Maid franchises is that there is no invoicing or waiting for payment. The client will leave money or a cheque in the house for the team to collect. It’s a cash positive business. The value of good staff cannot be emphasised too strongly. Spend time building up a team of intelligent, discrete people who have a healthy attitude the work – which is not easy. This is not the kind of business where you get rich quick but you won’t even get off the ground without the right people behind you. You need to be prepared for having a high turnover of maids. You will make mistakes but you have to judge character as best you can. Taking on people recommended by existing staff can be a good way to recruit people. Make the teams fully aware from the start that they will have to take criticism and will sometimes have to deal with difficult people. It won’t stop it happening but it will help your staff deal better with it. The risk of not keeping your staff happy goes hand in hand with keeping your customers happy. You can do spot checks but the teams will be on their own most of the time. Trustworthy staff are very important – once you’ve found them make sure you hang onto them. At the risk of upsetting anyone, don’t neglect to both charge and pay the right amount. It’s a question of balance. If you up the price of the clean you will get more staff wanting to do it but less customers willing to pay. Equally, a lower price will get more clients but no one will be able to afford to work for you. As you are going into someone’s home, it is important to establish a pattern. Where possible, send the same team, at the same time, on the same day unless otherwise requested. It is your job to minimise the complications in people’s lives not create them. A hassled client will be a lost one. Adapting to the client’s needs is very important. Each one will want something different out of the clean and it is important to be able to accommodate that. If they’ve got your name from Google or another search engine then remember you’re a total stranger and work to get their confidence and to get the price right. When you are advertising for clients but mainly staff, don’t be afraid to advertise where everyone else is. If you see that no one else is advertising in a certain local paper there is probably a good reason for it: the adverts don’t work. This is one place where following the herd is to be advised and you will get better people.